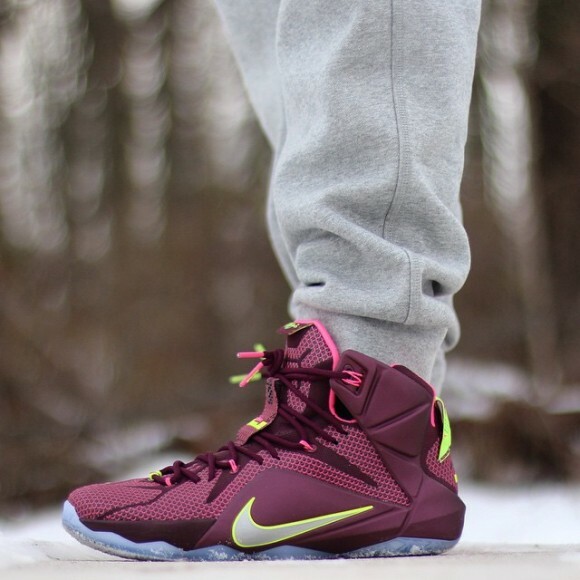 One of the most unique colorways of the LeBron James signature line gets an on-feet look, with the Nike LeBron 12 ‘Double Helix’ seen below. The sneaker reminds many of the LeBron 10 ‘Crown Jewels’, albeit with volt touches. The Hyperposite material is clear of graphics, which is different from the last few LeBrons to release like the ‘All-Star’ and ‘Court Vision’ colorways. No firm story for this colorway is known, although the term double helix (which is written on the heel) refers to molecular biology – much like the ’23 Chromosomes’ LeBrons. 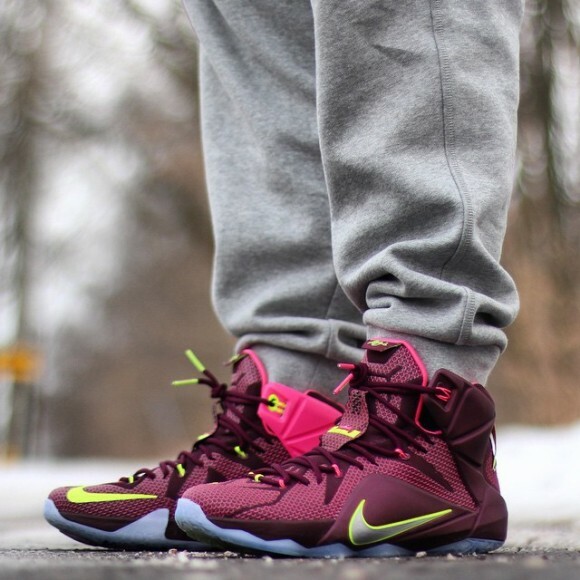 Stay tuned for more info on the Nike LeBron 12 ‘Double Helix’ colorway. The sneakers release on February 28th, 2015 for $200. For reference, the style number is 684593-607. Make your voice heard down in the comments about this sneaker.